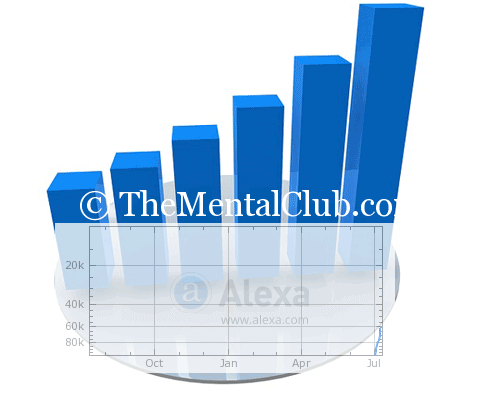 Is there is anyone who doesn’t know about Alexa or how to increase Alexa rank? I hope I won’t find anyone out there. If you are a blogger then I’m sure that you already have heard about it and maybe even before me. So you guys already know that what is Alexa and what it does? So I think I shouldn’t waste your precious time by telling you what actually it does and it’s functions rather I should tell you how to increase Alexa rank. Well, before going to start our main topic, I should tell you first how Alexa operate the ranking system and how they measure it. In past Alexa used to consider visiting only which passes through their toolbar enabled browser. That means they count visits from only them who use Alexa toolbar on their browser. Though the overall scenario has been changed significantly, but yet their ranking, the measuring system is not up to the mark. It still gives more priority to the toolbar enabled browsers than normal browsers. Why Should You Improve Alexa Rank? For making it even clear to you I should tell you the effects of Alexa rank on me. I hope now you’ll get a better idea of why you should take care of Alexa ranking. Whenever I need some information I do Google like you and when the results come up I used to visit only those sites which have good Alexa rank. I do believe I’ll get more, genuine and authentic content from these sites. Though you’ll get tons of tips on how to increase Alexa rank, but I can ensure you my these tips will definitely help you to increase your Alexa ranking. The very first step should be signed up and verify your site on Alexa. It will take some time to index your site by Alexa if you don’t sign up and verify your blog. From my personal experience, I can say, you’ll get rapid results if you sign up and complete the site verification process. After the signing and verification process, you should install the Alexa toolbar on your browser. As a result, whenever you’ll visit your site, Alexa will receive a unique signal and count it. To get a better result, you should tell your friends to install the toolbar and try to visit your site regularly. Did you notice, as a blogger, I’m using Alexa toolbar and so you are? That means normally most of the bloggers use Alexa toolbar intentionally and when your site gets visited by the bloggers, Alexa will definitely count these visits. You must write a quality post for your readers. If you can add value to your readers, then they will visit your site again and again. If the quality of the content is poor then they will never ever come back to your site. How to write the search engine friendly article? So quality post means huge traffic and the more traffic you’ll have, the more improvement you’ll see. You are recommended to read how to write great content. Alexa also gives more priority to the regularly updated site. If you write regularly, then there is a better chance to get regular traffic and it gives a positive signal to Alexa that your site is active. You should create high-quality backlinks regularly cause, Alexa considers the number of quality backlinks to measure a site ranking. Try to check it out: Most Powerful Web 2.0 Sites for Link Building. Related Article: Improve Alexa ranking in 7 days (Killer Tips) Must read. Alexa ranking wasn’t so important in the past, but after the recent Alexa update, it becomes one of the most important things for a website. Though their ranking is not accurate enough, but yet you should consider it fair and reasonable and I’m quite sure by following the above tips, you can increase the Alexa rank of your site.